The first penetrating fogs of the season in Dorset, but not too many frosts yet. Still quite a few empty spaces in some yards. One or two requests to advise on the way forward with some vessels. Here a Lone Gull class in Poole needing an expensive restoration. 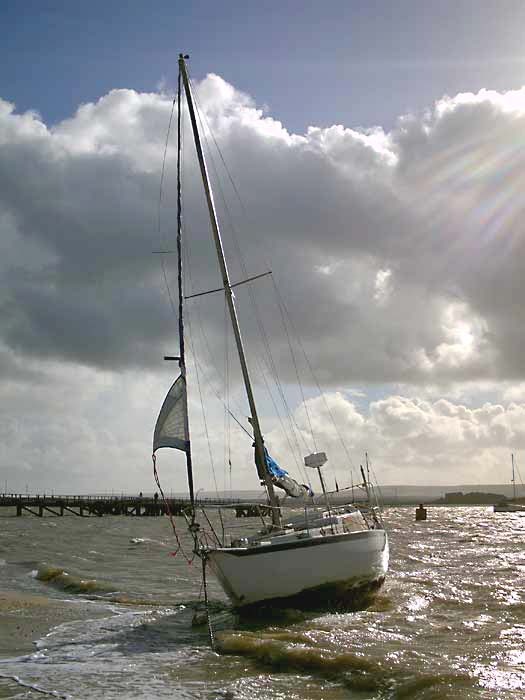 Owners of many vessels still afloat had a few sleepless nights throughout the South Coast & in Poole several vessels broke their moorings & were , in some cases badly damaged & in at least one case written off. This particular vessel was moored off Lilliput and the mooring cleat remained sound...the deck came away with the mooring cleat still attached! This got tangled in the pulpit & kept the vessel on the mooring.....but the breaking waves gradually filled the vessel, capsizing her & sinking. The mast hit the bottom & broke & the rigging got caught in the ground chains causing the salvage vessel to partly crush her as she was lifted because of the extra loading. Another two vessels came adrift & ended up on the beach at Hamworthy, both fortunately missing the pier a short distance away. A deep keel 31ft Tornado class on the beach. Winds of 65 knots were recorded with the Needles recording gusts of 99 mph, although this is possibly added to by a funnel effect caused by the location , but still more than I would want to go out in. Westerly Centaur broken away looking more like it was beautifully parked on the beach rather than stranded. Is your insurance still in force? Most insurance will have an in commission period, often April- October if on a swinging mooring, but you can be sure if anything occurs after that time, unless you have contacted them for an extension, they can well refuse any claims if you were meant to be ashore or "safe"
Usually it will be the cleat that fails & often I will see undersize fastenings or backing plates. Not very often do you come across the deck coming off! 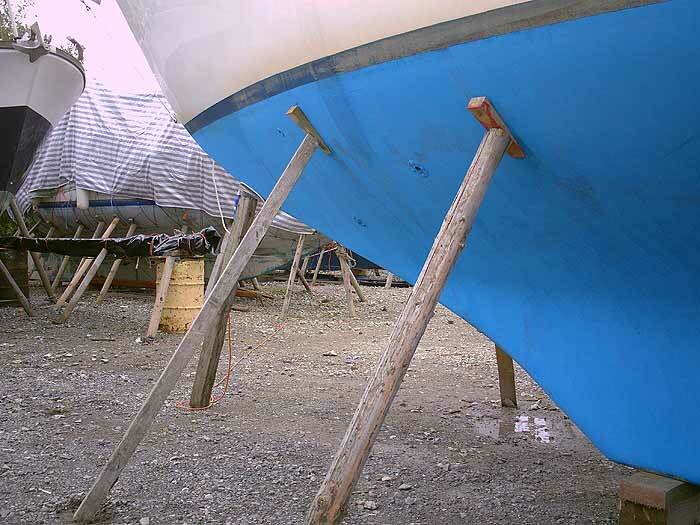 Check your primary mooring fastenings & the backing plate. These can & do fail & losing the boat for the want of a £1.50 bolt will haunt for for many years after the event. Plus, you might find the insurers claim neglect in some cases. 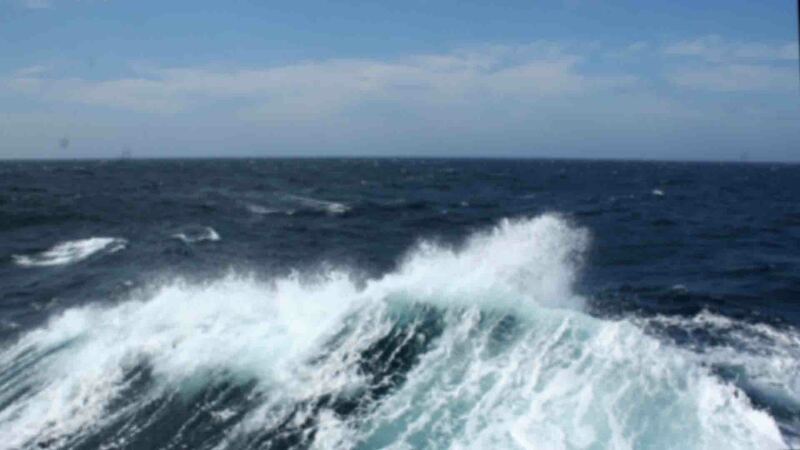 There are so many reasons a survey can be the savior of your boat. Boats are being laid up thick & fast now. 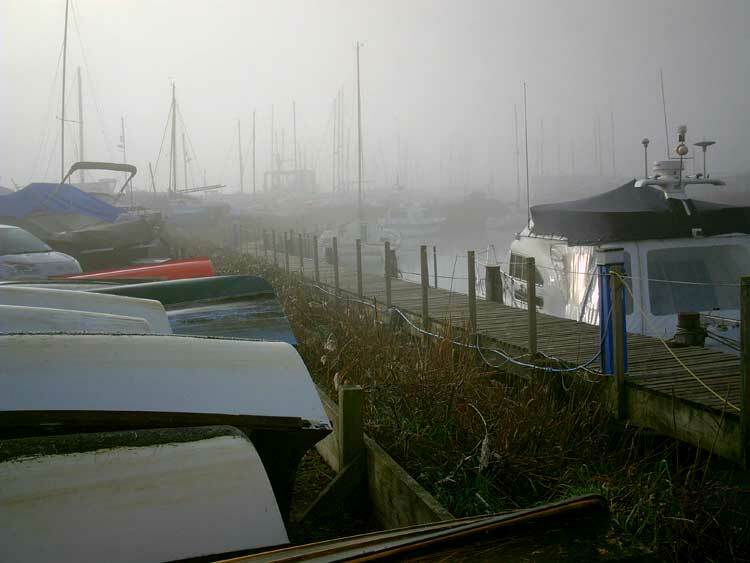 Most yards are very careful to check the props before, during & after gales, but private clubs and yards might expect the owner to ensure their own boat's safety. If in doubt, get the yard foreman or moorings officer to confirm before doing it yourself. 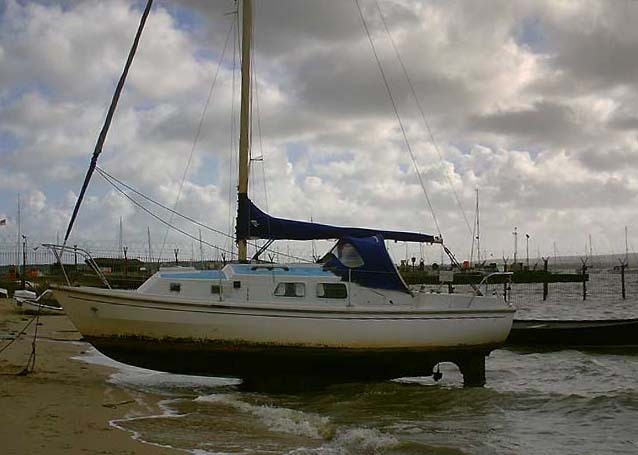 You might be liable if there is a problem following your own adjustment & lives can be & have been lost by attempting to secure boats ashore when you are talking of many tons of boat standing on a fin keel. 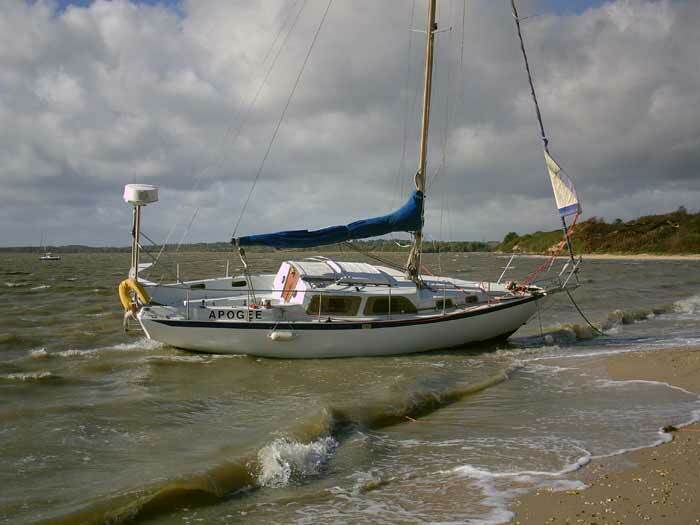 If you are still afloat then check your insurance & more importantly, check your mooring attachment points. Winter temperatures are getting close now & frosts will be heavy. Always leave all seacocks open if the boat is ashore as any water within the pipe can & will split the seacock if it cannot drain away. Antifreeze the engine & run some antifreeze solution through the water intake system before stopping the engine. Drain all freshwater systems including calorifier systems. Timber boats..how long will they survive for? A few weeks ago a local broker asked me to assess a timber vessel that had been repossessed by the marina owners because of unpaid bills. A substantial Colin Archer style vessel. How old....built in Scandinavia in 1870, it was gertting on when Queen Victoria died! The boat was still afloat but in obvious need of substantial time & money.